At this budget, we're running an i7-7700K. This quad-core CPU features an unlocked multiplier for easy and often significant overclocking. While not all games will benefit from overclocking, games like Overwatch can benefit significantly from a faster CPU. Overclocking can also help your CPU stave off obsolescence for a good while longer. All of that being said, if you're not comfortable overclocking, you can save money by stepping down to an i7-7700, removing the non-stock cooler, and going with a cheaper B250 or H270 motherboard. The i7-7700 does come with a cooler, so if you step down and remove the H7 cooler, you'll still have adequate cooling. The i7-7700K also features Hyperthreading, which is Intel's name for its Simultaneous Multithreading. This allows your PC to use 8 threads across your four cores, which helps with some productivity tasks and is starting to help with certain games as well. As mentioned, we're using the Cryorig H7 cooler. This is an easy to install, good-looking cooler than saves enough money for us to fit that sweet, sweet GTX 1080 Ti. We're using a parametric selection of motherboards that keep with a black and whitre theme. The parametric selection will actively choose the best-priced motherboard of the group. All motherboards in the group use the Z270 chipset, which allows the i5-7600K to be overclocked. Additionally, they all have 4 DDR4 DIMM slots and are capable of using the CPU's integrated GPU, in case you need to RMA your GPU or are waiting for a sale or upgrade of using the CPU's integrated GPU. For memory, we're filtering for the best-priced 2x8GB kit of DDR4 RAM that would match a black and white build. Feel free to click the "From parametric filter" link to see the various options and pick a color that suits you. We're also using a parametric filter that will actively select the best-priced SSD of roughly 1TB capacity. 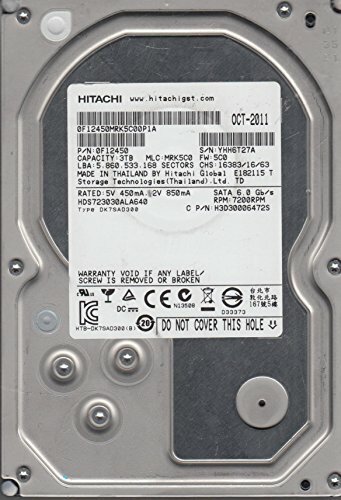 Additionally, we're including a 3TB mechanical hard drive in a parametric filter. Everyone's storage needs differs, so feel free to change the capacity or add a mechanical drive to your heart's desire. All of our parts are housed in a white NZXT S340 Elite. This case features a tempered glass window and is Simply gorgeous in its simplicity. It features 2 USB 3.0 front panel ports and can fit pretty much any length video card. The S340 Elite also has a lot of cable management options, including a PSU shroud, which will serve to hide any unsightly cables. For an AMD version of our Enthusiast Gaming guide you can find it here. Exactly! After all it's supposed to be an enthusiast build. 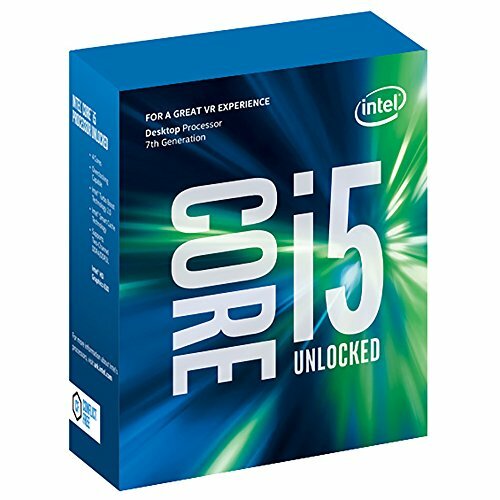 IMO, i5-7600K may be called high end, but never an enthusiast CPU. Sorry if I seem a bit rude here but if you can go through and filter all the impolite comments, why can't you reply or take any other comments into consideration? And I'll definitely keep polite, sorry about that I probably had a bad day at work or something. Probably because most people are playing or will play on 60Hz screens which makes a i7 totally pointless to get since both would give you the same seeable FPS. Then why call it "enthusiast"? Some people enjoy having such powerful hardware, and there is no such thing as wasting money, if you have it, and don't spend it, it is not given back into the economy. Besides, what does it matter to you if you want your processor to last more than 2 - 4 years before it becomes unusable in modern games? The only thing you see people buying used are overclockable 4th gen i5's, and up, and any or all i7's ever made, if they are cheap enough. It's not i7 cause it's for gaming. i7 is workstation not gaming. While yes, the i7 is meant for workstations, it is considerably better than the i5 at gaming, and one might expect it at a budget of around $1400-1500. At that price point I'd definitely expect an i7. ^ you clearly have never played most modern stealth games, i7s do help. Just look at Watch Dogs 2. I have played watch dogs 2, I still play it. I5-7600/GTX1060 gets 60fps @ High 1080p with small drops to 50-55 in grassy and intense areas. So now try it with an I5-7600K/GTX1080. I doubt an i5 would be an issue. I've seen as much as a 20fps boost moving to an i7, with a 1080 @ 1440p and ultra, and many of the older i5's will stutter trying to get to 60. Now that I think is just a matter of optimization issues, but it's definitely a CPU hog. ( I love when people using consoles say "turning off grass is cheating!" Good luck running Arma without a frame drop on this i5, get a Ryzen or an I7. You don't get frame drops though, yes your frames won't be the best but even an I5-6400/GTX1060 can run it with a solid 40-70fps @ High 1080p which is definitely playable, so imagine an I5-7600K/GTX1080. Have you ever even bought an Arma game? Go find a benchmark with an i5-7600 or 6600, and watch how it lags. The game is almost always below 30FPS, and the 1080 isn't necessary, a GTX 1060 is plenty for that game at 1080p, you need AT LEAST an i7-4790k to run that game at playable frame rates, and don't even get me started on the stuttering. in case you need to RMA your GPU or are waiting for a sale or upgrade of using the CPU's integrated GPU, in case you need to RMA your GPU or are waiting for a GPU sale or upgrade. $1450 build that's bottlenecked by slow RAM and a 4 thread CPU. Why does this show up on the front page of pcpartpicker? eh let him live a little. Why do people buy Ferraris if they never drive them fast? 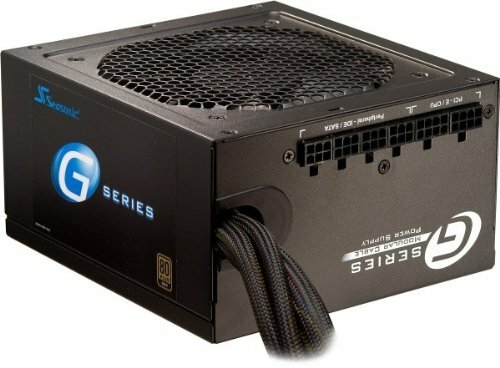 Can you take a look at this build? I already have the CPU & Video card. Most of the other parts are from this guide. GPU: Just make sure you get good parts so you don't bottleneck the 1080s power. Mkay. That is of HORRIBLE value. CPU Cooler: It matches his price range and it comes from a trustworthy brand. Though I would recommend looking at the CM 212 EVO if he doesn't care about footprint and wants to save some money, or the NZXT X62/X52 Krakens if he's willing to more than double his CPU Cooler price. SSD: Duuuurr. I was thinking of PCIe/NVMe's. Brain fart. That's what I get for being up at 5AM. The Scythe FUMA is no longer available. The replaced it with the Mugen 5. Some good options to look at are the Nocturn NH-D15 or the Reeven Justice for a smaller footprint and cooler temps. Look at the Thermalright macho direct, it keeps my cpu around 70c at 4.8 cuz. Have you considered the Crucial MX300 525gb for your ssd? It's the M.2 form factor, which will save you some space and a sata cable and it's a little cheaper on my screen too. 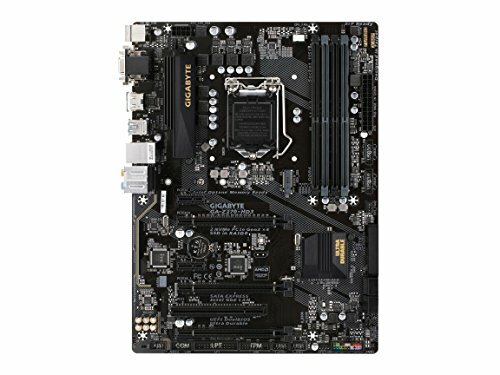 Your mother board supports m.2 slots which offer faster ssd type hardrives, maybe look into something like that too change from the 2.5' one you have now? Also don't forget the Operating Sytem and a monitor when calculating in total price. I have the exact same memory, as a little tip you might want to get the 16's instead of the 8 but that's just me. 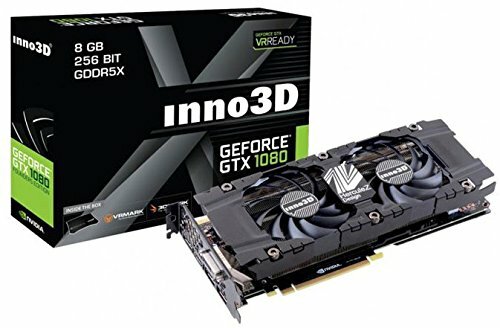 You got a great deal on the 1080, so good job. For the SSD, only get 120gb. It's cheaper, and you already have 4tb of hdd which is a LOT. With the drops in all those prices, you should take a look at the MSI Z270 Mortar or MSI Z270 Bazooka for the motherboard. both are great options, and you should take a look. Try to look for water cooling. It looks cooler and cools better (but don't get some less than $60 option for water cooling). I love your build but... why take a 1080 with an i5? Won't they bottleneck each other? If you're paying this much, why not go with a better CPU and take an i7? No i5 doesn't bottleneck a 1080 lol. go search i5 benchmarks. Oops, I know. Little mistake there, but it would still be smarter and better to use an i7 with the 1080 than an i5. That's true. No point of a 1080 if you're using an I5. I5-6400/GTX1060 can run it with a solid 40-70fps @ High 1080p which is definitely playable, so imagine an I5-7600K/GTX1080. Don't lie to my face. Please show me a benchmark that supports your claim in multiplayer on a 100 person server, you now, in an environment you'd actually be in in arms, perhaps in a city. For crazy enthusiasts? Yes. Realistically? You'll get like an extra 5-10 fps on most titles with an i7. GHZ matter way more that cores. True. But sometimes those 5-10 fps can really help. I can't stand anything below 60fps so if it, for example, would run at 50-55fps on an i5, but 60fps on an i7; I'd much rather take the i7 even if it's such a small difference. But I guess it's just a matter of preference. But yeah, if you want something cheaper I can totally understand why you'd take an i5 instead of an i7. Guess I'm a crazy enthusiast then :/ But I agree that clock speed is way more important than the amount of cores. That's why I always go with Intel CPU's instead of AMD's. Unless a program can support multi threading, there's really no point to have more cores. And single-core performance is way more important anyway. If you run a lot of stealth games that actually can go up to 20-30+ FPS. Watch Dogs 2 is a prime example. It's not just 5 to 10 more frames, they are smoother too. All of the frames are much much smoother, and smoother still on Ryzen, albeit Ryzen is at lower max and average frames its still better than an i5. The .1% lows of an i5 and i7 show how sad the i5 lineup has become. ^ This is my current build and I must plainly, and enthusiastically disagree. My i5-7600k is currently overclocked @ 4.8ghz stable, and paired alongside my GTX 1080 strix stock clock, it DESTROYS every AAA title I've ever tried. I'm running Witcher, Dying Light, The Division, etc. maxed at 1080p, 144 fps+ on my 144hz monitor and it's glorious. I'm not sure what bottleneck you're referring to? My intention really was to get an i7-7700k with my build but honestly, I don't see the point other than bragging rights. But bottlenecked? Nope with extra nopesauce. Do not buy this cooler. Most ridiculous install ever. Had to move and loosen screws to make it fit on a Gigabyte 1151 socket motherboard. I want to build another SotA gaming/"work" (excuse for my wife) computer but I'm wondering if this is the best build? I've seen people complaining about the Dark Rock cooler installation, is there a better option? I've also seen a few mentions saying I'd be better off with an i7 over the i5. I'm happy to put some more budget into the rig if it will pay dividends with noticeable performance, do you think there are some upgrades available here? Any help you can provide is most appreciated! I wouldn't recommend any GA-Z series boards from Gigabyte, I have a GA-Z170-HD3, board lasted 6 months before it died on me, no overclocking or thermal problems. I RMAed my board, got it back, board died again about a year later, just got it back again and Gigabyte says they will no longer cover me. A co-worker of mine bought the GA-Z270P-D3 when it came out back in mid-February, the board was DOA when he got home, he RMAed his board and still has not gotten it back from Gigabyte. I would recommend their Auros boards, but NOT their GA-Z series boards. Noob here, how far could you overclock the CPU in this configuration? I've never overclocked before. Also, same thing with the video card: can it be overclocked, and if so, to what speed can it be clocked to? I beg to differ, I thought it would be much simpler to ask it here because this is the main page where all the comments are regarding this build. I'm too lazy to go sign up for an overclocking forum, type up all these parts, and wait. I just wanted to know an estimate for this exact configuration. GPU will fit "and can fit pretty much any length video card." In my opinion this isn't a very good build for the price. I used your build and spent $40 extra and built a way better system with better CPU, better CPU cooler, better motherboard, better GPU and power supply, also better ram. Got to take the time and find the best parts that make sense for what you are doing. IS that motherboard good and dose it support overclocking and what chipsets? So glad that you updated this guide by adding Intel in the title and a gtx 1080. This is one of the worst build i've ever seen. 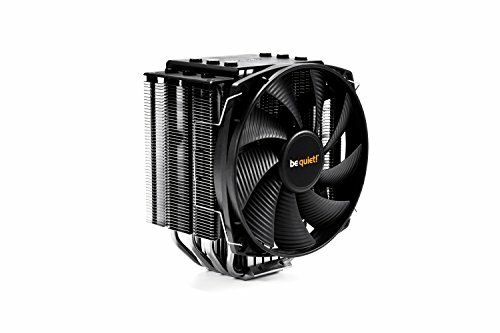 -I've replace the 140$ cooler for the extremely popular 212 evo 35$. Why spend an extra 100$ into a cooler when you can put money into cpu. -With the money i've save, upgraded 7600k to 7700k. -Replace original 1080 (noisy) for EVGA GTX 1080 SC (customer cooler) -Replaced patriot SATA SSD (terrible reliability) since price wise it doesn't make sense in this build for Samsung 850 EVO 500GB m2 SSD. That's not a patriot SSD, it's a trion. It's also 960gb not 500gb. And the cooler isn't $100 XD The Dark Rock is better than the Hyper 212 Evo for overclocking purposes. Ok, that's true. I missed that. I apologize.